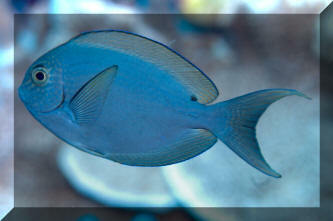 Acanthurus tennentii Gunther 1861, the Doubleband Surgeonfish. Western Indian Ocean; South Africa to Sri Lanka. To about a foot in length in the wild. An adult out in Mauritius. 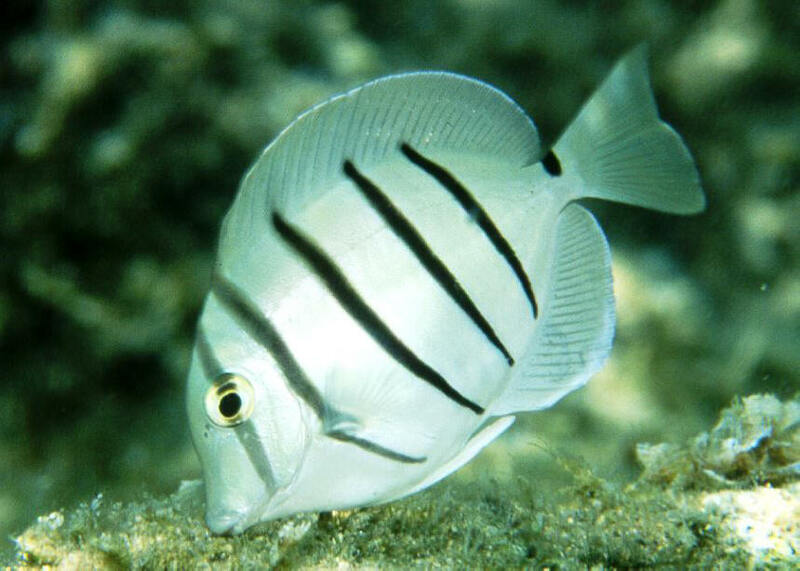 Acanthurus thompsoni (Fowler 1923), the White-Tailed Surgeonfish, a good name for this species except for its populations in Hawaii which bear no white on their tail areas (at right). Another name for this planktivore is Thompson's Surgeonfish. Though not a striking beauty, this Whitetail tang is a good feeder and stays moderate small (to ten inches). Rarely imported into the trade. Wakatobi, S. Sulawesi, Indo. Acanthurus thompsoni (Fowler 1923), the White-Tailed Surgeonfish, a good name for this species except for its populations in Hawaii which bear no white on their tail areas (at right). Another name for this planktivore is Thompson's Surgeonfish. Though not a striking beauty, this Whitetail tang is a good feeder and stays moderate small (to ten inches). Rarely imported into the trade. A Hawaiian specimen. Acanthurus triostegus (Linnaeus 1758), (manini) Convict Tang or Manini (Hawaiian). 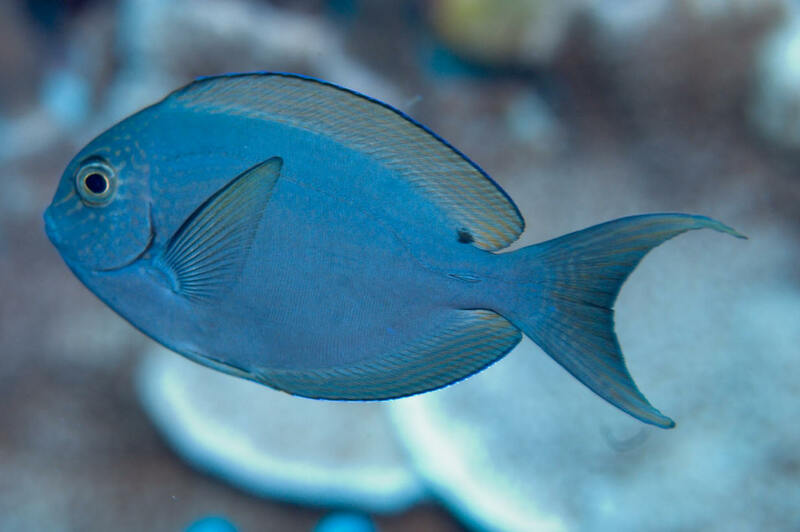 One of the best Acanthurus for use in reef tanks for its size, easy going temperament and habit of consuming fine, filamentous algae. Reserved for native Hawaiian use in Hawai'i, but available from elsewhere. Juvenile in Hawai'i.